G-B (5 notes) unichord, iron. All of the contemporaneous representations of Schubert at the fortepiano, including those of the “Schubertiads”, show square domestic instruments. Schubert is unlikely to have been able to afford a much more expensive grand fortepiano, which would in any case have occupied too much space in the small rooms in which “Schubertiads” were held. The present instrument serves to remind us that the so-called “Viennese” action was invented, not in Vienna, but (by Stein) in Augsburg, some 40km from Munich, in Bavaria, Germany. 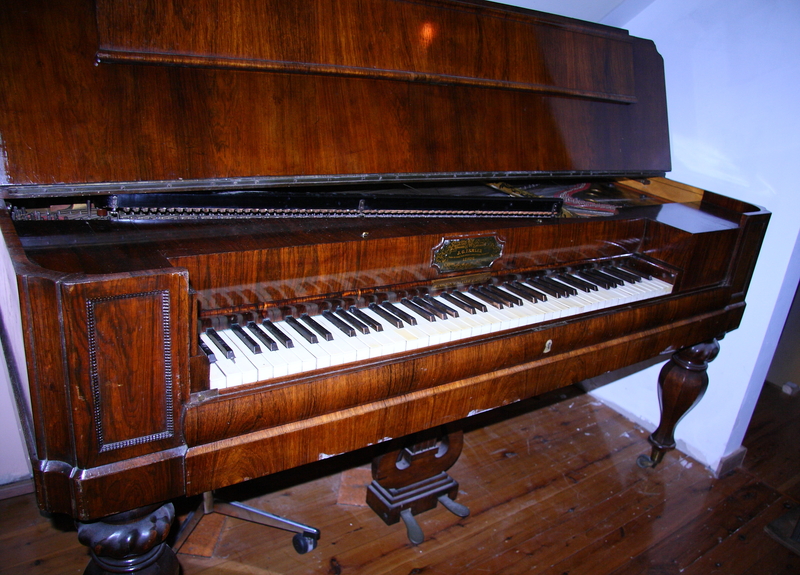 Irmler was the earliest major fortepiano builder in Leipzig (1814), being succeeded by his son and followed by Bretschneider (1833) and Bluthner (1853).